3T MRI Is 100% Sensitive For Breast Cancer! A doctor’s education continues long after Medical School. There is always more to learn. Sadly, some also forget what they are taught, so it is very important for you to look out for your own care. Be your own advocate. Ask questions. Your health may depend on it. There are doctors out there who will not be aware of the truth of the title of this article. Some even fail to understand how important having a good radiologist is to getting good results from an MRI. I recently saw a patient who had had both a CT scan and an MRI for stomach pain. The radiologists had found a mass in her kidney but did not say what they thought it was. Here, the problem was not the imaging, it was the way the radiologists interpreted the images. Sometimes you can have the best pictures but the radiologists prefer not to say what it might be! I reviewed the pictures for her doctor who took it to two other radiologists as well. I was the only one who said it was cancerous and needed immediate treatment. Thanks to new “open bore” technology, our OPEN MRI scanner is not only the widest and most spacious made today, it is also the most powerful and least claustrophobic OPEN MRI in the world. The extra strength of this 18-channel 1.5T MRI means two things: 1) it takes images that are clearer and more detailed than typical 0.3T or 0.4T “Open” MRIs; and 2) it takes images much more quickly. Also, there is a new software called BLADE, which actually compensates for movement. Many doctors are not concerned with a patients comfort when ordering MRIs. Some patients who come to our OPEN MRI have been to as many as four other scanners before finding out that ours is the largest and most OPEN MRI. Readers of this journal have already heard of the benefits of 3T MRI. Stronger. Faster. Sharper. Better resolution. As with digital cameras, where higher numbers of MegaPixels result in better pictures, with MRI, higher “T” (tesla) results in better images—up to 8 times faster than other MRI scanners! We have had the ultimate 32-channel 3T MRI scanner for two years and a 3T scanner in Newark for almost 8 years. Still, there are physicians who do not understand the difference and the need for higher resolution. I only ask that people call and ask me why 3T MRI is the best MRI for their scan. Our facility is the only facility with super high field imaging and 1.5T OPEN MRI. MRI is improving. MRI does not expose patients to radiation. CT scans use a lot of radiation. As MRI scanners have gotten better, the need to expose people to so much radiation has diminished. This needs to be considered when a test is ordered. We strongly recommend you ASK an MRI facility how strong their MRI scanner is. Also, what are the qualifications of the radiologist? 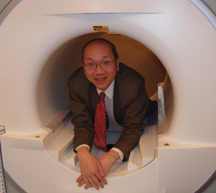 Do they have many years of experience interpreting body MRI? Are they also a neuroradiologist? Find out before deciding where to take the prescription your doctor gave you to get an MRI. (Remember, the doctor writes the prescription, the patient decides where to fill it.). 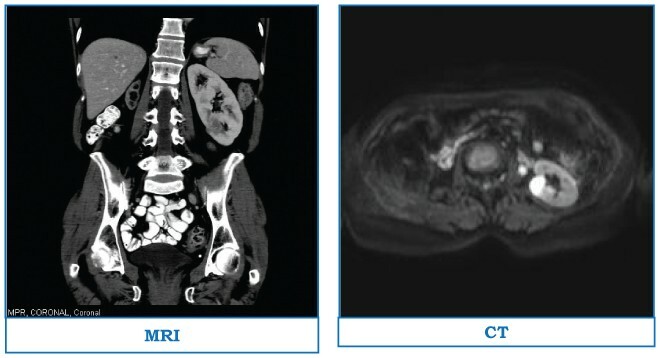 MRIs with contrast are particularly good for finding tumors. It does this without radiation and the contrast used in MR (which is neither iodine, nor shellfish-based) is much safer than the contrast used for CT. And, even within the group of five or six MR contrasts, we use only the safest—Multihance, Prohance and Eovist. (See www.safecontrast.com). MRI Consultants remains committed to providing the very best imaging and patient care possible. Dr. Chao is available to talk to patients and doctors alike. We want to give you the best study possible. As with the patient mentioned above, listening to both the referring physician and the patient regarding her suspected mass resulted in our being able to identify something that could have been missed if we had a more generic approach to medicine. Also, given the complications of medical insurance (thank you Washington), our new office will offer a special price for self-pay patients. Our Out-of-Pocket price for an MRI without contrast is $500 and $700 with contrast. We care and we offer the best technology at a reasonable price.